Upcraft-Russ enjoys a reputation as a versatile artist, equally at home with the music of Handel as with the music of the late 20th century. While in Rochester, she has performed leading roles with the Eastman Opera Theatre, including Mrs. Grose in The Turn of the Screw and Angelica in Suor Angelica and was also a featured soloist with the Eastman Philharmonia in performances of Strauss’ Vier Letzte Lieder under the baton of Mendi Rodan. Other operatic portrayals include such varied roles as Zita in Gianni Schicchi and Zerlina in Don Giovanni. This past fall, Dr. Upcraft-Russ was featured as Berta in Mercury Opera of Rochester's production of Il Barbiere di Siviglia. She also appeared as the soprano soloist with the Nazareth College Choirs and Orchestra in Vaughan Williams Sea Symphony. Upcraft-Russ performed as the soprano soloist for performances of Verdi’s Requiem at Nazareth College with the Rochester Philharmonic, Murary Sidlin conducting. Other oratorio appearances in Rochester and elsewhere have included performances of Schubert's Mass in G Major, Beethoven’s Symphony #9 with the SUNY Geneseo Orchestra and Chorus, Saints-Saens’ Christmas Oratorio, Vivaldi’s Gloria and both Faure and Durufle’s Requiem. In recital, Dr. Upcraft-Russ displays a penchant for the eclectic in her choice of musical styles and her interest in highly dramatic texts. She performed the Rochester premiere of Andy Vores’ song cycle Cleopatra as part of her Performer’s Certificate Recital at Eastman along with songs in Swedish by Gösta Nystroem and songs in Spanish arranged by Joaquin Nin. She was also soprano soloist for a Rochester performance of Shostakovich’s Romanzen-Suite for soprano, piano, violin and cello. Dr. Upcraft-Russ recently performed a recital to benefit Oswego Opera Theatre. She is also a champion of young composers; future recitals will include works by living American composers. Dr. Upcraft-Russ has studied voice with Robert McIver, Ellen Linton, Dale Moore and Patrick Mason. Coaches and conductors have included Benton Hess (including Czech and Russian diction), Russell Miller, John Greer, Jean Barr, Murray Sidlin, Mendi Rodhan. She has also performed in master class with Wesley Balk, prestigious bass Giorgio Tozzi, noted director Colin Graham, pedagogue Richard Miller. Directors include Steven Daigle (also classes in directing) and David Holley. Upcraft-Russ is currently an adjunct professor of voice at Nazareth College. 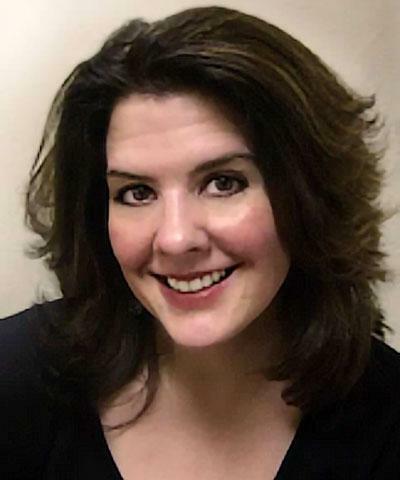 Previously, she has been on the faculties of SUNY Fredonia and the Eastman Community Music School. Dr. Upcraft-Russ received the Doctor of Musical Arts in Voice Performance and Literature and Performer’s Certificate from the Eastman School of Music, the Master of Music in Voice Performance from University of North Carolina in Greensboro and the Bachelor of Music in Music Education from SUNY at Fredonia. She is also a member of NATS, Pi Kappa Lambda, and SAI.